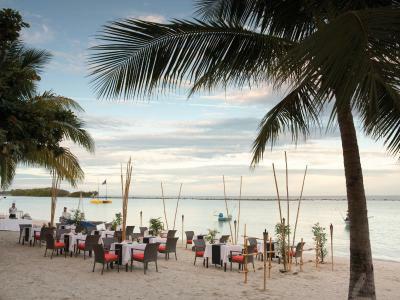 Lock in a great price for Chaweng Regent Beach Resort – rated 8.4 by recent guests! Location, upgrade on arrival. Staff so obliging and will help you enjoy the experience even more whatever way they can. Spa treatment was amazing, relaxed warming environment. The resort is big and beautiful. The rooms are big and comfortable, pools are very nice and the stuff is great. The location was awesome for us. The garden was nice and well maintained . You can feed the fishes in the pond. Rooms are great, amazing breakfast! Fab location, great pools, fantastic hotel. Very suitable for kids. Loved the location right on the beach, pools, & breakfast. Ambience was wonderful specially the greenery around felt like we were in amazon jungle with the lovely blue ocean at your feet. Rooms are good .Bathroom was excellent with the tub in the open area under the blue sky a wonderful experience. Everything was amazing! Staff was extremely helpful attending all our questions and needs. 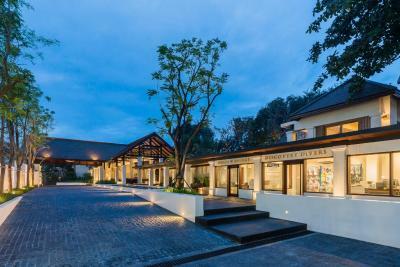 Chaweng Regent Beach Resort This rating is a reflection of how the property compares to the industry standard when it comes to price, facilities and services available. It's based on a self-evaluation by the property. Use this rating to help choose your stay! 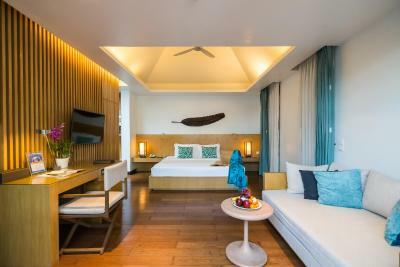 One of our top picks in Chaweng.Offering relaxing beachfront accommodations on Chaweng Beach, Chaweng Regent Beach Resort features 2 outdoor pools and a first-rate spa. 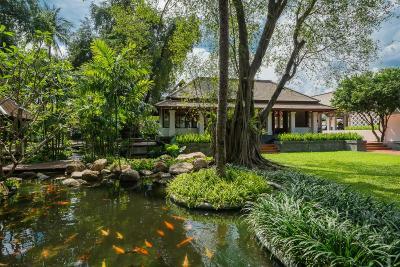 It is a short walk away from many entertainment spots, restaurant and shopping options of Chaweng. 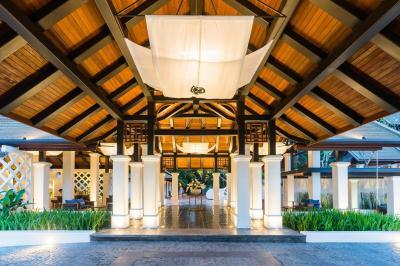 Resort Chaweng Regent a 15-minute drive to Fisherman’s Village, Samui International Airport and Bang Rak Pier. It provides free parking. 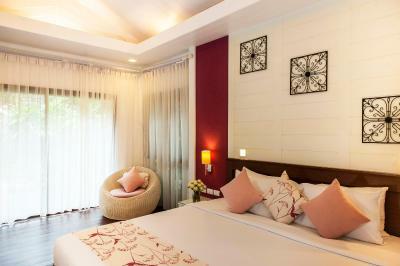 Offering a blend of Thai-style décor and modern amenities, pleasant rooms feature a private terrace and DVD player. For convenience, a safe and fridge are also provided. 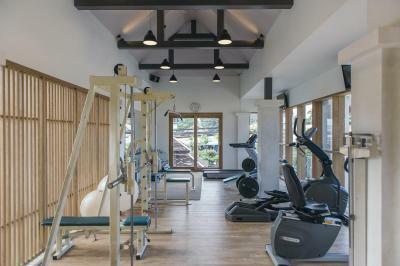 Explore Samui’s attractions with help from the tour desk or enjoy active workouts at the fitness center. 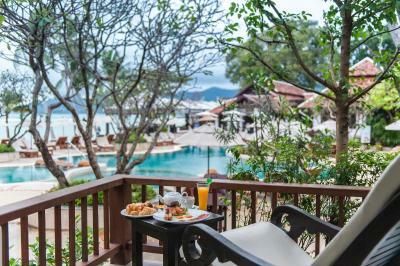 Start the day with a hearty breakfast at Chom Talay, which features stunning views of Chaweng Bay. 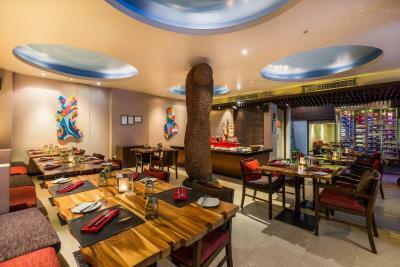 The award-winning Red Snapper Bar & Grill features Mediterranean specialties and live music. 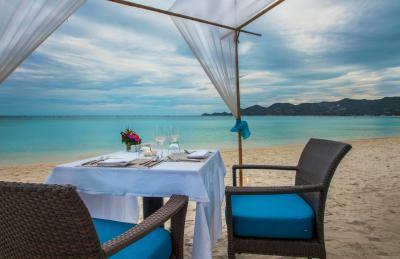 When would you like to stay at Chaweng Regent Beach Resort? 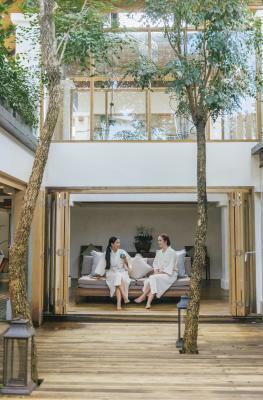 On the ground floor and second floor with view of the grounds or pool, the rooms feature a private terrace. 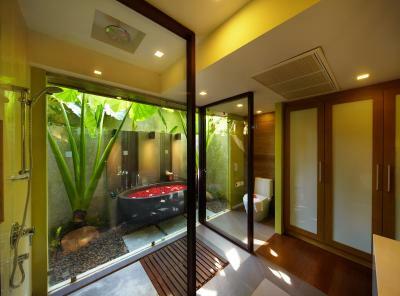 Features a private balcony, semi-outdoor spa bathtub and additional space. 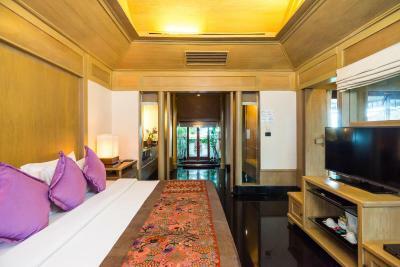 Spacious villa features a flat-screen TV and a private terrace with an outdoor spa bath. 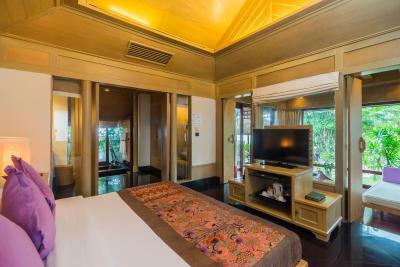 On the ground floor and looking out towards the tropical grounds, this air-conditioned room is fitted with a safe, an LCD TV with DVD player and a plush outdoor day bed. 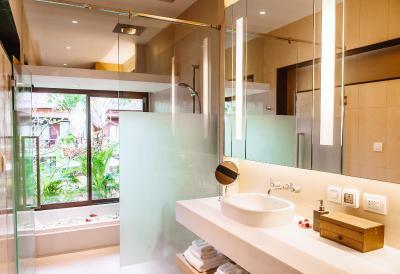 There is also a minibar, tea/coffee-making facilities and a luxurious private bathroom with a shower. This luxurious suite is composed of a stylish bedroom and a separate living room with 2 couches which can be converted into extra-beds. 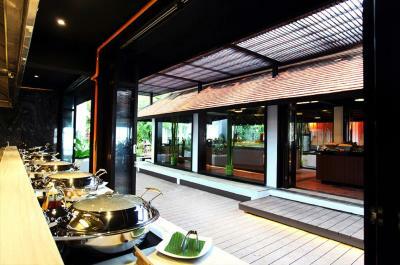 It also comes with a private pavilion that overlooks the Chaweng Beach. 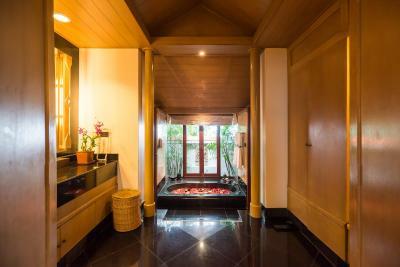 The spacious bathroom has a separate shower and a relaxing spa bath. Guests enjoy a complimentary mini-bar (non-alcohol). Please note that the room rate is based on 2 adults and 2 children. Offering a garden view, this air-conditioned unit features an LCD TV, a safety deposit box and a work desk. A mini-bar and tea/coffee making facilities are also provided. 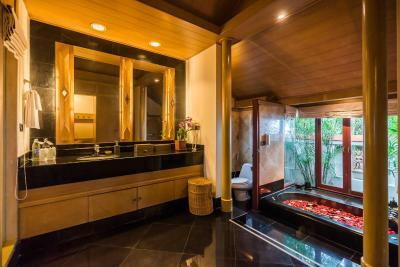 The private bathroom has a separate shower and bathtub. Immerse yourself in a restful haven where white sand beaches meet the clear blue water of the Gulf of Thailand. This is the place to relax. 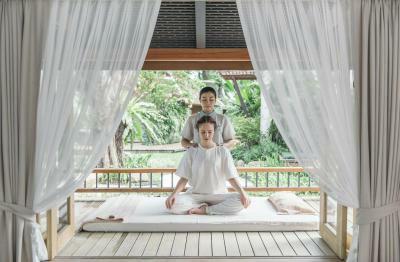 There is nothing to disturb the blissful tranquility of Samui. 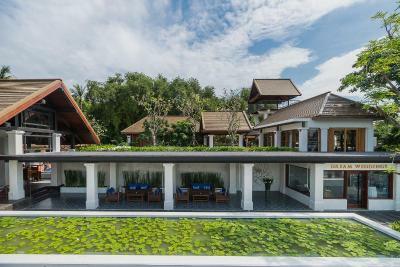 House Rules Chaweng Regent Beach Resort takes special requests – add in the next step! 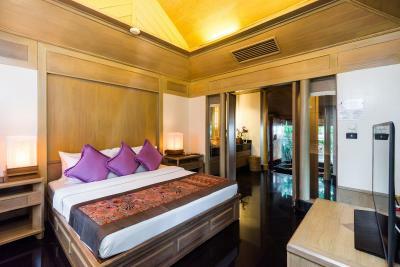 A THB3000 damage deposit is required on arrival (around USD94.03). This deposit will be fully refunded at check-out, as long as there isn't any damage to the property. 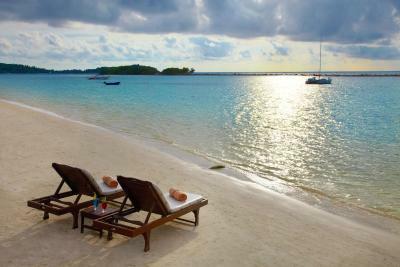 Chaweng Regent Beach Resort accepts these cards and reserves the right to temporarily hold an amount prior to arrival. 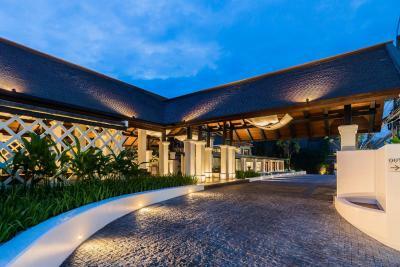 Please note that the name of the credit card holder must be one of the travelers in the group on check-in and the credit card must be presented to the property upon check-in. In the case that guests fail to present their credit card, guests will be required to settle a new payment when checking in. A damage deposit of THB 3000 is required on arrival. That's about 94.03USD. This will be collected as a cash payment. You should be reimbursed on check-out. Your deposit will be refunded in full, in cash, subject to an inspection of the property. as above, nothing i liked. booked a preimer double as indicated in your website and hotel website, was given different and much smaller room, totally different from what i booked, disppointed, i will not go back to this hotel again and not likely to reccomend to others. very sad. Friendly and polite service from all staff, hotel grounds was like a tropical paradise. I didn like chaweng area, but its not regarding the hotel itself. The fitness center is quite poor. They could do better with very little investment. We had 8 days there, and they charged us 90000 baht per night, which is around $300. That is quite high for Thailand. My wife and I loved the Hotel - unfortunately, we had several bad experiences. A Hotel which charges this much cannod afford such to happen. Our hot water went out the first night - fine, it happens, but within a week it went out again. We had to get out of the tub and it took an hour to fix it. If you can't conbtroll this, don;t charge this much. If you want to charge this much, get on top of it. In addition, some of the staff seemed to speak English only when it was convenient. I had to go to Front Desk to report that people who are not part of the Hotel are at the pool, taking up sunbeds. There were not enough sun beds,and we had to tip the Crew to find us beds. Aagin, I don't mind tipping, but for this much money I expect the Hotel to be on top of this. Why do I pay $300 per night, if anyone can just walk in. After reporting this to Joe (Guest Service Supervisor) I had to go back again next morning, as the same people - from another Hotel - were occupying sunbeds. My wife is a massage therapist - we went to Spa every second day. One day- after requesting our usual therapist - we were told she will be available, only to find soembody else upon arrival. Unfortunately, we went ahead with it. My wife stood up and left, as the therapist was causing her pain. Suddenly nobody seemed to speak proper english, so gave up sorting it out. This was our last night, and I had to leave early monring next day. The Gue sService Supervisor offered us a free airport ride for all the inconveninces, which is ridiculous. Any of these by their own would have been fine. But all o fthe m otgether is way too much. What a shame,as it is a nice hotel with a great location, but afte rexperiencing these, I must say it s way over priced. Instead of goign out of their way to make it up, they refused to deal with it. Nobody should be treateed this way. The breakfast was good, however it was served with industrial juices instead of fresh ones. It would be good to change that. The staff is awesome very smiling and ready to help. We were even upgraded for one night, and the rooms are incredible. I can't say less of the location which is very close to airport and just on the beach, as well as the facilities. They have 2 swimming pools with 2 different atmospheres. Absolutely amazing.